Who doesn’t love meatballs? I mean, well except for vegetarians and vegans, they probably aren’t too keen on them, otherwise, I mean really it’s a meatball. A sphere of scrumptiousness. What’s not to love? They’re magically delicious and when they’re appetizer size (aka fun size) you can pop them right into your mouths and you don’t have to feel bad about devouring a dozen of them because, say it with me, they’re fun size after all. Lets face it, meatballs are a party staple. Think about it. How many parties have you attended where there have been meatballs served? A lot, right. Easy and delicious. It’s the reason. Sweet and Sour Meatballs are a classic choice. Sweet, Savory and Tangy. Checking all kinds of boxes. We’ve made this recipe stove top but you could easily make them in a crock-pot as well. You could even double the recipe and bonus points because they’d stay warm during serve time if you went the crock-pot route. Options, you know we love them. You start out making a basic meatball recipe. Then if you can pour and stir you’ve got this covered. The sweet and sour sauce comes together quickly and then the meatballs cook in the sauce. Doesn’t get much simpler than that, well unless you have someone make them for you and feed them to you on a toothpick, then it’s definitely simpler. Either way you should give these a go next time you’re in need of a party appetizer or just because you’ve got a hankering for a meatball. 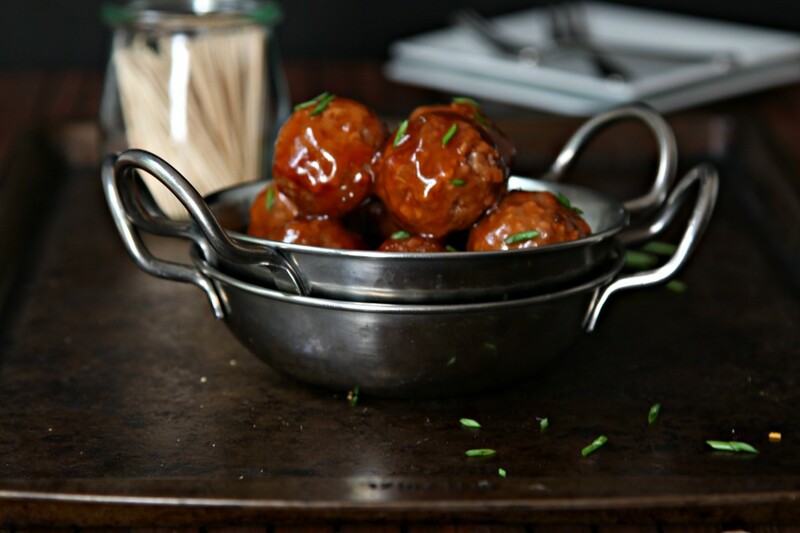 Get our SWEET AND SOUR MEATBALLS RECIPE on Dixie Crystal’s website. These look amazing! 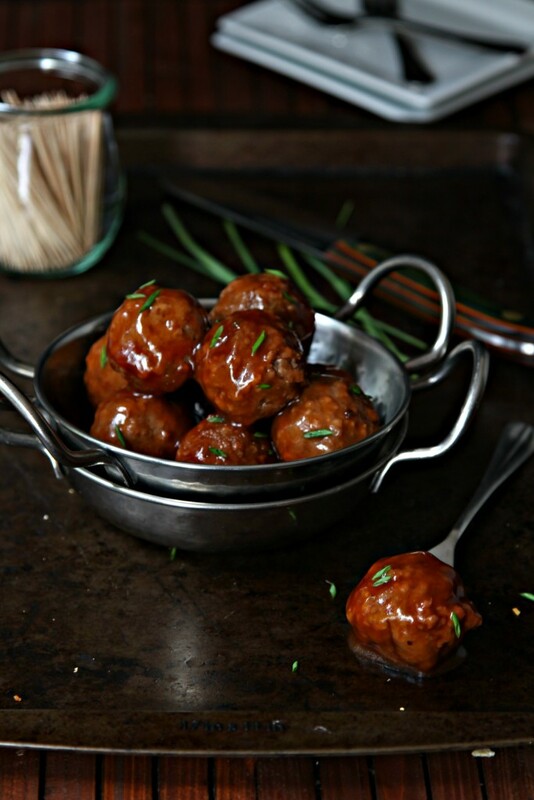 I love sweet and sour meatballs, they are always a hit! That sauce looks incredible! Pass me a tooth pick! I can pour and stir and I can certainly make meatballs! Love this. 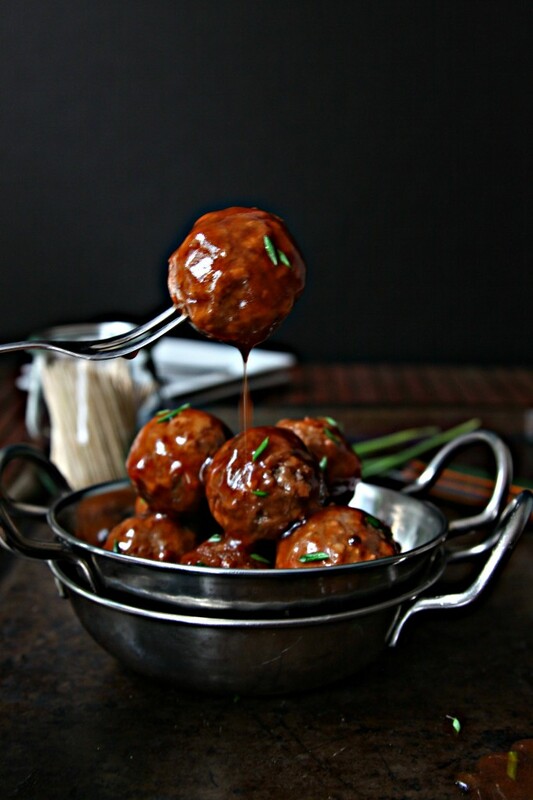 I absolutely adore these meatballs, the photos are stunning. We love sweet and sour meatballs. Can’t get enough of them. Sweet and sour meatballs are the perfect party food, and kid food too! Love these!!! And that drippy sauce pic is perfection 🙂 And no one can resist that sweet and sour sauce. YUM. Going over to grab that recipe asap! We love meatballs and you’re totally right, you’ve got to have them at parties!